Andrew Abbott is a fascinating sociologist, and he is an expert on the Chicago School. His book Department and Discipline: Chicago Sociology at One Hundred provides an excellent analytical discussion of the theories and people of the school. So his contribution to The Oxford Handbook of Sociology and Organization Studies: Classical Foundations, “Organizations and the Chicago School,” on the place of organizations in the research tradition of the Chicago School is doubly interesting. The piece is posted here on Abbott’s website. The piece is interesting for a number of reasons. First, it gives Abbott an opportunity to articulate once again what he thinks is most distinctive about the Chicago School approach to the study of society. Second, it allows the reader to infer how Abbott himself thinks “organizations” ought to be studied. And third, it presents a very interesting example of how to do the sociology of a knowledge field. In several ways Abbott thinks that the perspectives offered on “organization” by the Chicago School sociologists are more insightful than those provided by the other more mainstream approaches in US sociology — “the Harvard based human relations school, the Weberian tradition descending from Parsons through Merton at Columbia, and the more formal and economic approach associated with March and Simon at Carnegie Tech” (399). This additional insight starts with the grammar of organizations. For the Chicago School, organization is more verb-like, a process, ‘the organizing of social life’, whereas for the other main traditions organization is a noun, a concept that refers to a static thing to be studied. For Abbott this is an important differentiating factor in the Chicago School approach generally: a tendency to look at social affairs as an active and dynamic set of processes rather than a settled and stable set of durable structures. “‘The world’, in the ringing phrase of the Chicagoans’ philosopher colleagues George Herbert Mead, ‘is a world of events'” (401). Abbott argues that there are complicated reasons why the Chicago School is not regarded as having developed a significant sociological theory of organizations. One part of the story is the fact of inter-paradigm politics. Influential figures in the human relations school at Harvard made deliberate efforts to minimize the Chicagoans’ involvement in organizational studies (402). Another part of the story is the fact that the Chicago School contribution to this field of study took place largely through dissertations rather than through large theoretical treatises. And finally, there is the historical fact that American organizations underwent profound change from 1920 to 1960, both nationally and in Chicago. The super-sized organizations of giant corporations, federal bureaucracy, and the army emerged in the years of World War II; whereas much of the research agenda of the Chicago School was set in the earlier part of the twentieth century. Abbott finds that Henderson and Small supervised thirty-one dissertations, and nine of these were relevant to the topic of organizations: stockyards, churches, the steel industry, and employment agencies, for example. Abbott finds that “the focus is much more on dynamics: institutionalization, ossification, change, and evolution” (407). 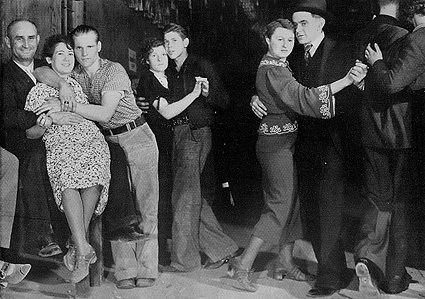 Another feature of the Chicago “sociological imagination” was an abiding interest in peripheral social roles — delinquents, hobos, criminals, and taxi dancers (412). This conforms to the Chicago penchant for studying the social particular and the Chicago tendency towards progressive causes. But he also finds that the division of academic labor shifted during the 1930s, with the study of organizations going to the political economists rather than the sociologists (409). A final work of this type is Edwin Thrasher’s The Gang (1927), probably the ultimate Chicago statement of organizations as things that are always in transition. For Thrasher, gangs are rooted in communities, and thus are evidence of ongoing ‘social organization’. But for us, Thrasher’s study provides clear evidence that the organizations Chicagoans found most interesting were those that were the most transient. (414). What then are the lessons contemporary organization theory can learn from the Chicago organizations tradition and its vicissitudes? The most important lesson is that there is no necessary reason for seeing the social world as a world of organizations. The Chicago School’s sublimation of organizations into an epiphenomenon of social processes reminds us that to see the social world in terms of organizational entities — as the human relations school did — is to take a quite historically specific view, one anchored firmly in the worldwide importance of large, stable bureaucratic structures in the years from about 1925 to 1975. But that epoch of stable, fixed social structures is over, Abbott seems to say, and the fluid, shifting, and event-ful social world that we now confront is better studied using the approaches of the Chicago School. We now face “a world of rapid turnover and change in organizations, a world of continuous organizational restructurings and financial prestidigitation, of networks and arm’s length relationships, a world in which the employment and production structures that were laboriously built by scientific management and human relations have been deconstructed through outsourcing and offshoring” (419). And for that more fluid social world, the Chicago School approach is very well prepared.